Hi. Is anyone amongst our experts who recognises this dial ? If yes, what is the reference ? If no, is it a fake ? 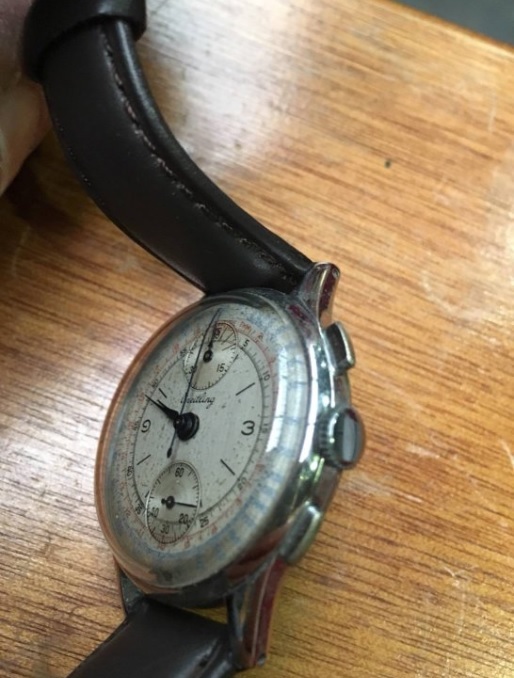 Ref 174 I think but a photo of your caseback would confirm. Note difference in pushers between your photo and mine. Thanks to all of you guys who have provided me with valuable informations. Unfortuantely the watch wasn't mine since I was dealing with a vendor. Before pursuing my talks with him, I was looking for more info. 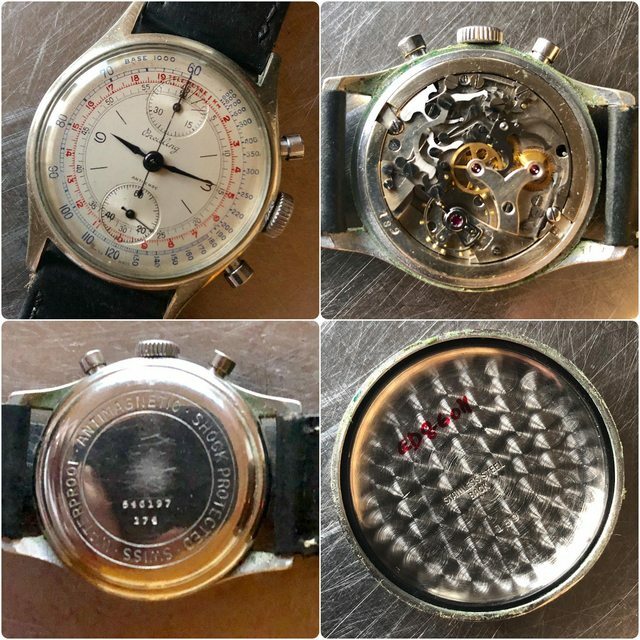 The seller didn't answer to my request for a picture of the caseback !! Cheers to all.